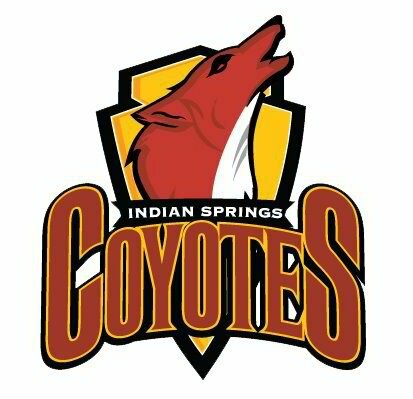 Jonathan Sanchez and the Indian Springs Coyotes boys volleyball caps off its undefeated South Valley League Championship season (15-3, 12-0) with a victory over the Nuview Bridge Academy Knights, 25-18, 25-12, 25-19. The Coyotes volleyball team clinched the school’s first ever league championship in any sport following the victory over Public Safety Academy and Knights’ loss to the California Military Institute. Arient stated that this group is unique as several of the players do not play volleyball as their primary or first sport. Several members also play for the school’s soccer and wrestling teams. Sanchez, who is a wrestler, contributed to the victory with 28 assists for the Coyotes. Manual Cardenas, who also plays soccer, had 12 kills with five aces and two blocks. The Coyotes, who made it to the CIF playoffs last season will await the CIF announcement for the playoff pairings on May 8th at 9 a.m.